You’ve got a big job to do and you need the right tool to get it done. 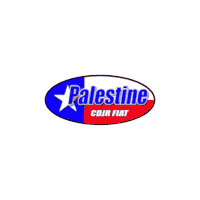 Make the ride to see our team at Palestine Chrysler Dodge Jeep Ram Fiat today and take a look at the Ram 2500 models we have in stock. This truck can be the perfect tool to help you get the work done that you need to complete every day. Bigger trucks have the ability to get more done. When you see our dealership team, you’re going to learn everything you want to know about the Ram 2500 that will become the truck that allows you to accomplish all your goals in Tyler, TX. Check out this truck and imagine the fun you can have when you take it for a drive and let it become the one that allows you to pull the trailer, take your boat to the lake, or carry the load of materials you’ll work with during the day. We’ll be more than happy to take you for a test drive so that you can see how this truck can become the right one for you. The Ram 2500 is a pickup truck that brings you the power you want but also provides you with a comfortable cabin for the ride. When you take this truck out for a drive you’re going to experience the comforts in the cabin that make you feel you’ve stepped into a luxury vehicle. There’s no reason for you to have a harsh ride and an uncomfortable place to sit just because you’re in a truck. Experience the quality and the drive around Tyler, TX when you make this truck the one that has everything you’re looking for. As you take your test drive with our team from Palestine Chrysler Dodge Jeep Ram Fiat, you’re going to notice some new items in this impressive truck. There’s now a new luxurious Limited Tungsten trim, an updated 8.4-inch Uconnect infotainment system, a standard rearview monitor, a remote exterior switch for the LED bed lights, and new Fleet Telematics to help you track this truck if it’s part of a fleet you manage. Let our sales team show you what these new items can offer you to make the experience even better in the Ram 2500. If you’re looking for a big truck to help you get the bigger jobs done, you need to see our team and ask about the offers we have for the Ram 2500 today. This impressive truck has the power and performance you want and we have the deals that will make it even more affordable for you to drive. Stop by, take a drive, choose the right trim, and get to work. Time’s wasting and you’re going to run out of daylight, but the Ram 2500 never runs out of power to help you get the job done.